Cepage Wine Club Initiation. 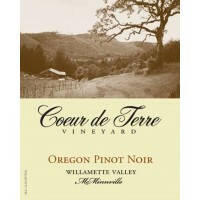 Pinots Noirs and whites; 6-bottle selection twice a year: April-May and October-November at $180 each. Total of 12-bottles / $360 each calendar year. Minimum commitment of 2 club shipments. This includes our Pinot Gris, Rose, Pinot Noirs and Estate Syrah.